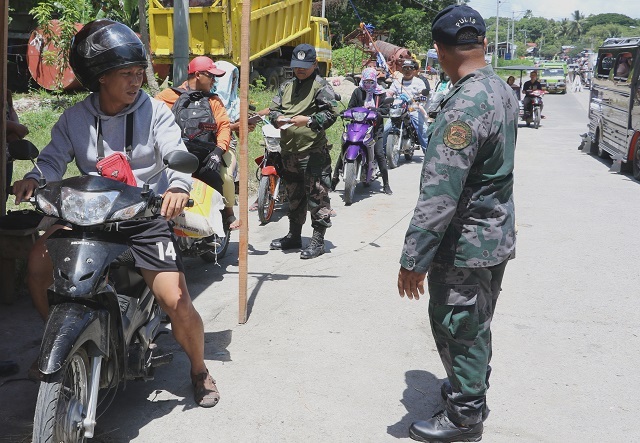 COTABATO CITY, Philippines — Police personnel deployed here can stay and work under the Bangsamoro regional police or opt for assignment to areas under Region 12, a senior official said Monday. Members of the police command in Cotabato City, now part of the Bangsamoro Autonomous Region in Muslim Mindanao, administratively belong to the Regional Police Office-12, whose headquarters is in General Santos City. Chief Superintendent Graciano Mijares, director of the Police Regional Office-BARMM, said their gradual takeover of the Cotabato City police is now being planned and will be done according to Philippine National Police guidelines. Local residents voted for the ratification of the Bangsamoro Organic Law, the charter of BARMM, during a plebiscite on January 21, resulting in the inclusion of all 37 barangays here in the core territory of the Bangsamoro region. Key members of the Bangsamoro Transition Authority, which will head the new region until elections are held for new officials, have repeatedly announced early on that Cotabato City shall be the seat of the newly-created regional government. Mijares, a member of BARMM’s regional peace and order council, said police personnel in the city will have two options — to stay and be included in the BARMM police, or be reverted to PRO-12. "There are certain considerations like possible displacement of families, the plight of those to retire in a matter of months and other concerns. The PNP is one big family whose members look up to each other’s welfare. Coordination towards that end is now being initiated," Mijares said. The PRO-BARMM, originally PRO-ARMM, covers Maguindanao and Lanao del Sur, both in mainland Mindanao, and the island provinces of Basilan, Sulu and Tawi-Tawi. Several police officers who have built houses here and whose children are studying in local schools said they are ready to work under PRO-BARMM. "But we have companions under a battalion directly controlled by the regional office and it is likely for them to choose their return to General Santos City because most of them are residents of provinces under Region 12," one of them said. Mijares said their planning and coordination efforts are also focused on how to put under the control of PRO-BARMM the 23 barangays in nearby Cotabato province that are now under the Bangsamoro government. Residents there voted for the inclusion of their barangays into BARMM’s core territory during a plebiscite on February 6. Mijares said the issue shall be discussed extensively with the appointed chief minister of BARMM, Al Haj Murad Ebrahim, with the region’s minister for local governments, lawyer Naguib Sinarimbo, and the PRO-12 leadership.